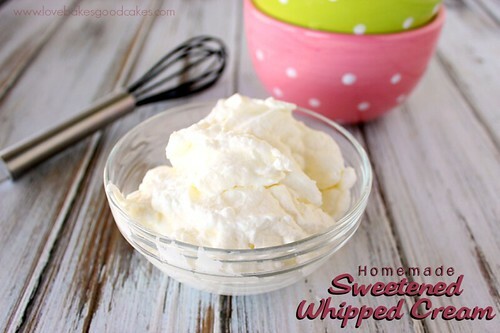 Sweetened Whipped Cream is a favorite topping for so many desserts! It’s super easy to make at home with only 2 ingredients! This is an easy one today, y’all! We’re making Homemade Sweetened Whipped Cream – Forget about buying that stuff that comes in a can or tub! Seriously, you will have no excuse after seeing this recipe for Homemade Sweetened Whipped Cream! 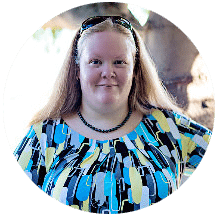 It’s quick and easy – with no weird chemicals!! 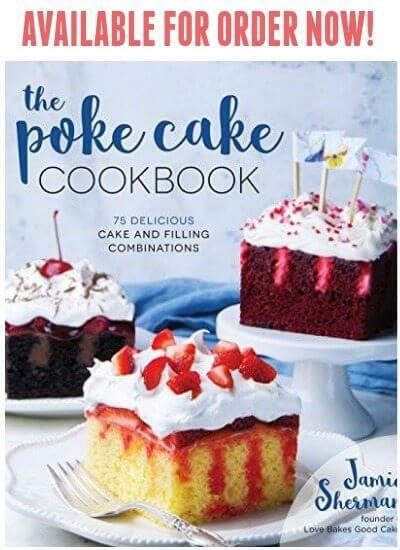 Whether you top Strawberry Shortcake, garnish a pumpkin pie or add a dollop for contrast to a chocolate torte …. 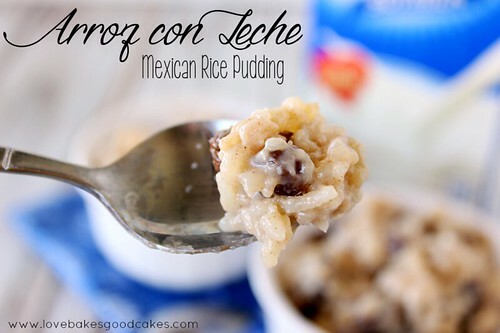 this is a must have recipe! Chill a medium bowl. After the bowl is chilled, beat the whipping cream and sugar in the chilled bowl with an electric mixer on HIGH speed until stiff. Use the Homemade Sweetened Whipped Cream to top your favorite desserts! 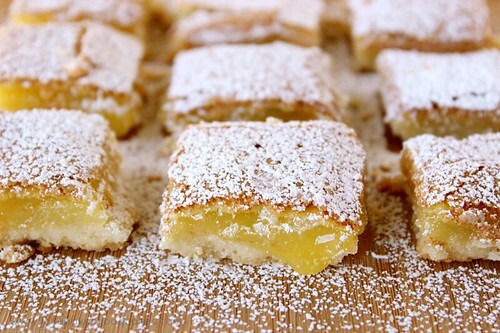 **Note – I prefer powdered sugar over granulated sugar – but both will do the job. You can also add ¼ tsp. of vanilla extract for an extra special dollop! 🙂 Also, take care not to over beat – or you may end up with butter! If you do not have an electric mixer, you can use a balloon-type whisk and whisk this by hand. It is a bit more work, but it is not terribly difficult! I like to use powdered sugar also. It helps stabilize the cream for a little longer. For those of us who can't eat sugar, I like to use 4 (more or less to your taste) of Stevia Sweet Leaf extract. 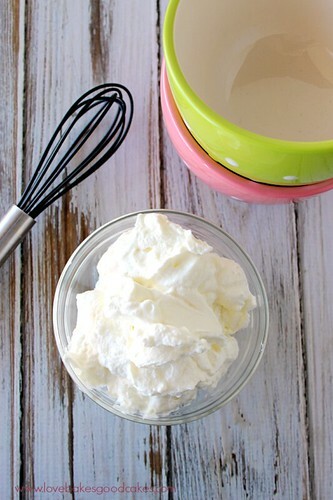 I love homemade whipped cream, so much better than most store bought brands! Thanks for sharing at Simple Supper Tuesday. 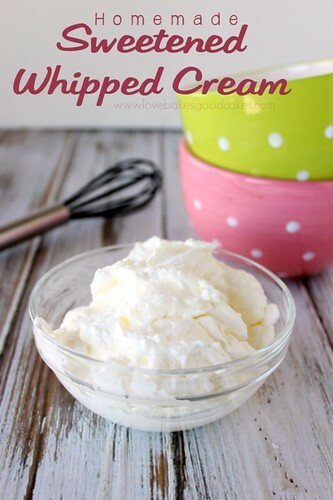 LOVE homemade whipped cream and prefer this to any other type of frosting or topping. I agree with the powdered sugar over granulated sugar too. Mixing it with hot chocolate also makes a wonderful light chocolate flavor too.